The autumn has passed and the first heavy rains have arrived. The leaves start to fall and the temperatures begin to drop and the winter chill and shorter days set in. This is when my thoughts turn to slow braised, hearty meat stews and the absolute prince of stews is goulash. I first became familiar with this down-to-earth slow braised comfort food during my early days working in the kitchens of Kibbutz Mishmar HaEmek in the Jezreel valley in central Israel. The dish we prepared there was an Israeli version of the authentic working class goulash from Hungary brought to the early settlements in pre-state Israel by Jewish pioneers and later by Hungarian Jewish refugees after WW11. Goulash soon became one of the many adopted dishes that make up the mélange of Israeli cuisine today. Today Goulash is found in Tel Aviv’s famous Yemenite quarter with a distinctly Middle Eastern flavour coming from the addition of Turmeric and Cumin (less paprika) while a more traditional Eastern European style dish is served in the local Jerusalem style restaurants as well as the chic brasseries surrounding Jerusalem’s Mahane Yehuda market. For the average Israeli goulash is basically the generic term for a simple paprika based beef and potato soup or stew, perfect for the cold and rainy Mediterranean winter. 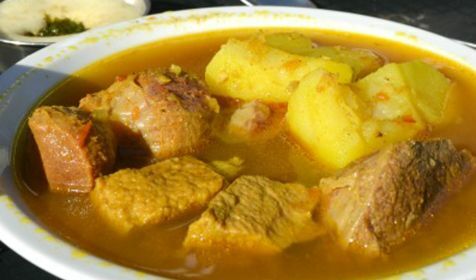 Hungarian Gulyás is a thick, hearty working man’s dish that was popular among cattle herdsmen in Hungary. 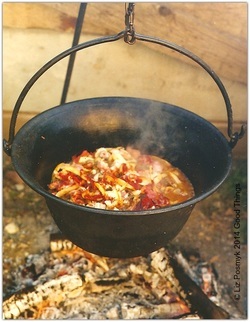 It was prepared in a cast-iron kettle hung above an open fire in the fields during the long dark winter herding times. Gulyás means Herdsman in Hungarian that where the dish’s name comes from. Herdsmen have the best prime quality beef at hand and the rustic method of cooking fitted very well to their open air and always on the move life style. This early working man’s rustic dish found its way to the more noble and urban table only towards the end of the 19th century. During the Austro-Hungarian Habsburg dynasty’s rule in the late 1800s it became critical to protect the treasures of Hungarian culture; the language and the gastronomic delights as part of the movement to stress Hungary’s national identity and independence. 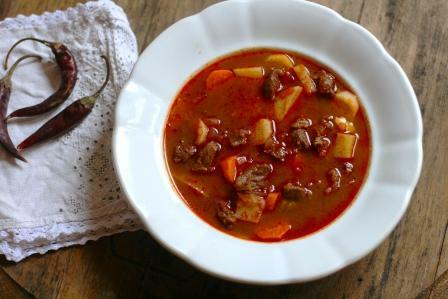 Restaurants began to feature goulash on their menus and by the second half of the 20th century goulash had become the most typical of Hungarian dishes known to all. Hot, sweet, smoked, plain, Hungarian, Spanish – all are paprika in one form or another a spice powder made from grinding a range of Capsicum annuum peppers. Used for flavour, aroma and colour, paprika is one the most consumed and recognizable spices in the world and can be found in a multitude of spice mixes, rubs, marinades, stews, and as a garnish. Depending on the type of pepper and how it is processed, the color can vary from bright red to brown and the flavour from mild to spicy. Therefore, it is helpful to know the distinct qualities that each type of paprika can bring to a dish. Most of the paprika sold in grocery stores is simply labelled “paprika.” Its origins may be Hungarian, Californian, or South American, and it is sometimes mixed with other chilies like cayenne. This paprika tends to be neither sweet nor hot and is a suitable garnish for things like devilled eggs or wherever you want some color. 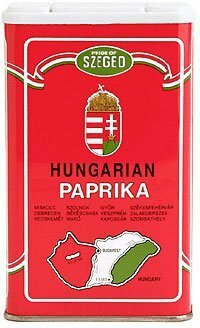 Paprika is the national spice of Hungary and is an essential part of the country’s most famous dish, goulash. Hungarian paprika is made from peppers that after harvesting are sorted, toasted, and blended to create different varieties. All Hungarian paprika has some degree of rich, sweet red pepper flavour, but they range in pungency and heat. The eight grades of Hungarian paprika are különleges (“special quality”; mild and most vibrant red),csípősmentes csemege (delicate and mild),csemege paprika (similar to the previous but more pungent), csípős csemege (even more pungent), édesnemes (“noble sweet”; slightly pungent and bright red), félédes (semi-sweet with medium pungency), rózsa (mildly pungent and pale red), and erős(hottest and light brown to orange). What is marketed in the West as Hungarian sweet paprika is usually the édesnemes variety. 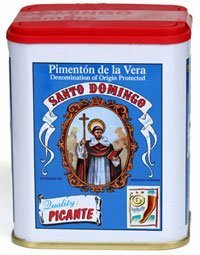 Although usually less concentrated than Hungarian paprika, Spanish paprika can vary in taste from dulce(sweet and mild) to agridulce (bittersweet and medium hot) to picante (hot) depending on the type of peppers used (round or long), with or without the seeds, or how they are processed. The peppers are harvested and dried over wood fires, creating smoked paprika or pimentón de La Vera. Smoked paprika is used in paella and dishes that need a deep, earthy flavour. If you have a recipe that calls for paprika without specifying which kind, you can usually get by with using Hungarian sweet paprika. But also consider what type of color, sweetness, pungency, or heat you’d like to add and experiment with the wide world of paprika varieties! Thank you for the lesson on paprika. Very good to understand the choices and differences. Is number 8 on frozen beef acceptable to buy for goulash here in Israel? It is less expensive will it tenderize in a slow cooker?